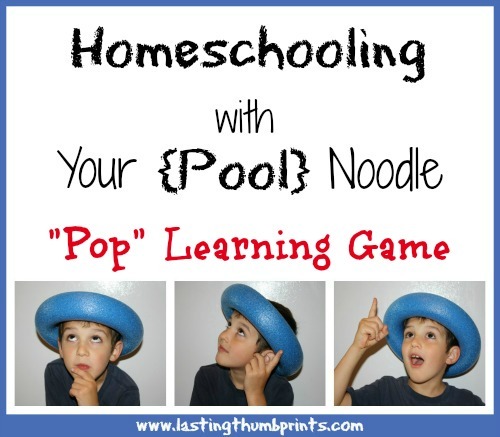 *This is the second post in the Homeschooling with Your Noodle series. You can find the first post on buoyancy and density here. You can sign up for email updates here if you don’t want to miss any of the fun! 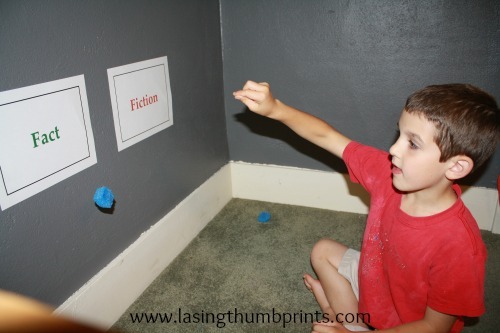 I saw a really fun pool noodle activity at Spoonful and knew that I wanted to find a way to incorporate it as a game in our learning time. We just finished an earthworm unit study so it seemed like a perfect way to review some of the things we had learned. I think this pool noodle game is a winner because it keeps the mind and body busy. As an added bonus, it makes a really fun popping noise! I cut a pool noodle into 1 1/2″ sections with a serrated knife. I then cut each section into four pieces. (You can find a picture and the original instructions at Spoonful.) They cut their pool noodle into 2 1/2″ sections and I would try that next time to see if they “popped” further. 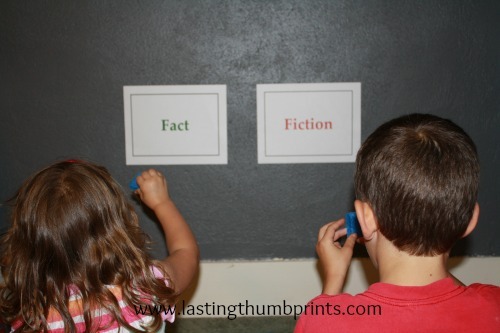 I decided to do a basic fact or fiction review game with the kids, but there are so many different ways you could play this. 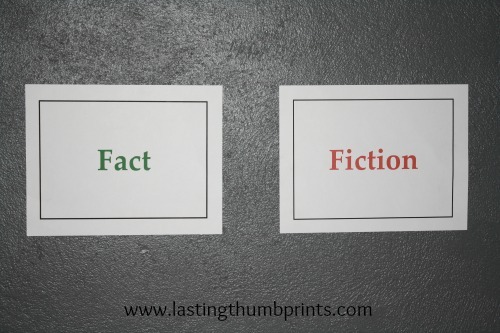 I printed out two signs and taped them to a wall. I would make a statement about earthworms and they would have to decide if it was fact or fiction. Then they would squeeze the pool noodle piece between their thumbs and forefingers to “fire” it at the answer they chose. This is where that popping noise I talked about earlier comes in. The variations for this game seem to be endless in my mind. You could use a box or other containers as the target. Students could earn a noodle piece when they answered questions correctly. The list just goes on and on for me. It was a huge hit with the kiddos so we will be doing this again throughout the year too. I already have some ideas for math and reading games. You may still be able to find pool noodles on sale for $1 or less at end-of-summer sales. You can find pool noodles at Amazon (affiliate link), but the price is not as good as an in-store sale. 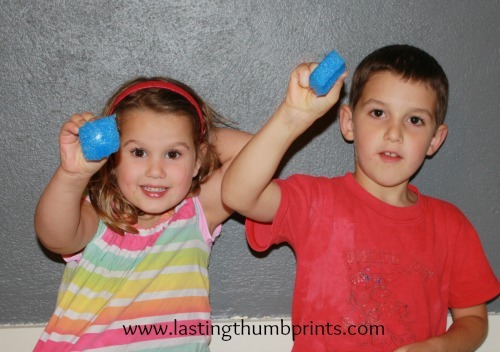 Do you have any fun games that you’ve played with pool noodles? We’d love to hear about them!